Golden Larch trees (Pseudolarix amabilis) at the peak of their fall color line frame Liberty Bell Mountain (left) and the Early Winters Spires in the North Cascades of Washington state. 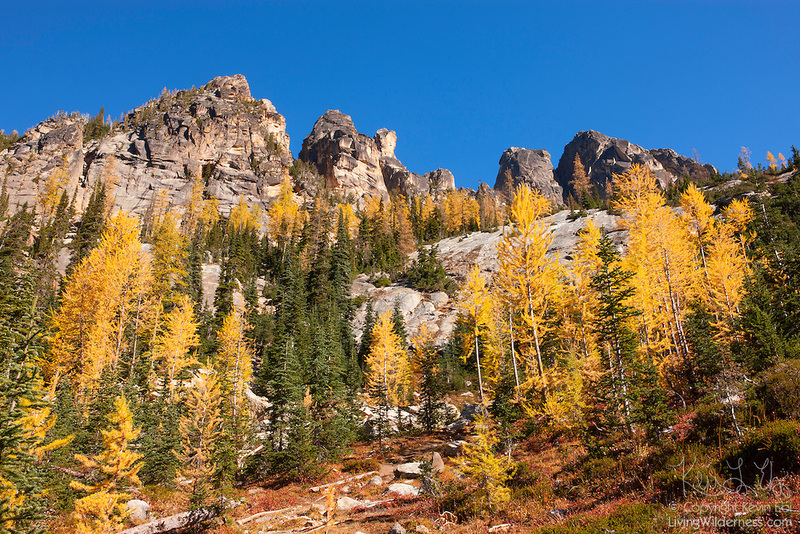 Golden Larches, while not considered true larches, are known for shedding their needles each fall. The needles grow back each spring and transition from deep green to blue green over the course of the summer. In late September or early October, the needles turn golden and drop, just like the leaves on deciduous trees.